Sludge metal is an easy genre to screw up, it's so easy to make your riffs less heavy and give up on the trve sludge mastery of bands like Thou. Yet every once in a while you find a group who go the full nine yards and embrace a sort of crushing metal magic that is rarely found in the modern scene. 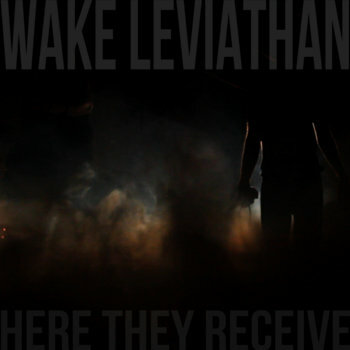 Wake Leviathan is that band and their destructive vibes are not too be missed. With riffs that will crush your bones and growls so harsh that they will rip the hair from your head their is a lot too love about this record. The sheer intensity of the shrieks is impressive it adds a very unholy aura to the music and is nicely contrasted by powerful and destructive growls. In short, this is a band who know what brutal is and are not afraid to wholly embrace it. While definitely not for the casual fan, pvrists will revel in the super heavy tones and songwriting genius of Wake Leviathan. So if you're looking for some 'abyssopelagic' doom too satisfy your darkest metal cravings then Wake Leviathan is a band that you simply have to check out! Listen to them on Bandcamp!